With Halloween approaching fast the developers of World of Tanks has this week released a new trailer for the Halloween content that adds a little more scare to the popular game. 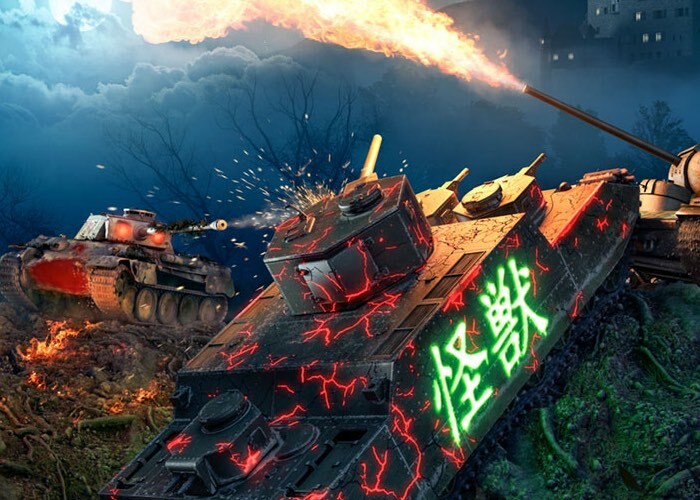 Thanks to Monster bundles that are available all this month for World oF Tanks. Check out the video below to learn more about what you can expect. Will you follow the path of the Kaiju O-I or claw your way through battle with the T71 Lycan? Perhaps a fiery battle is what you’re after with the Gorynych KV-5? Or fight for your afterlife with the Revenant Kraft’s Panther instead? World of Tanks is now available on the PlayStation 4. Dive into the free-to-play global online multiplayer phenomenon dedicated to the golden age of tank warfare in the mid-20th century. For more information on the new Halloween World of Tanks content jump over to the official website for details by following the link below.